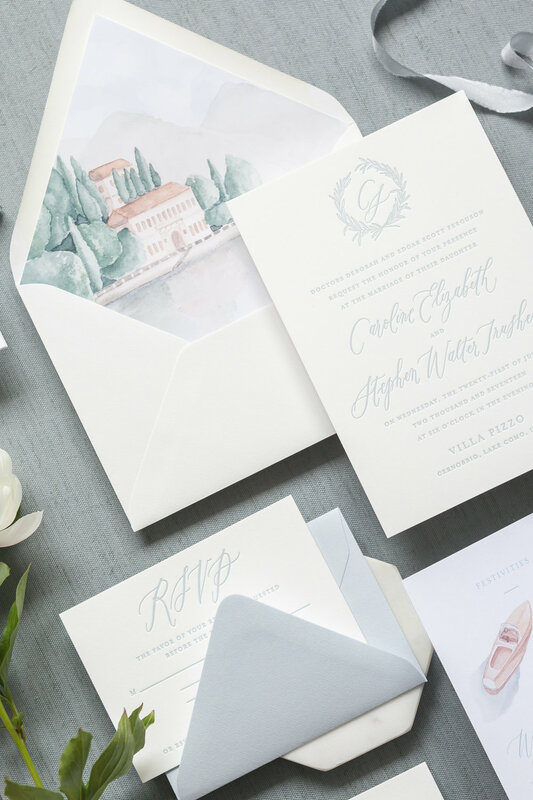 One of our favourite ways to customize a suite is to incorporate illustrations of the venue. 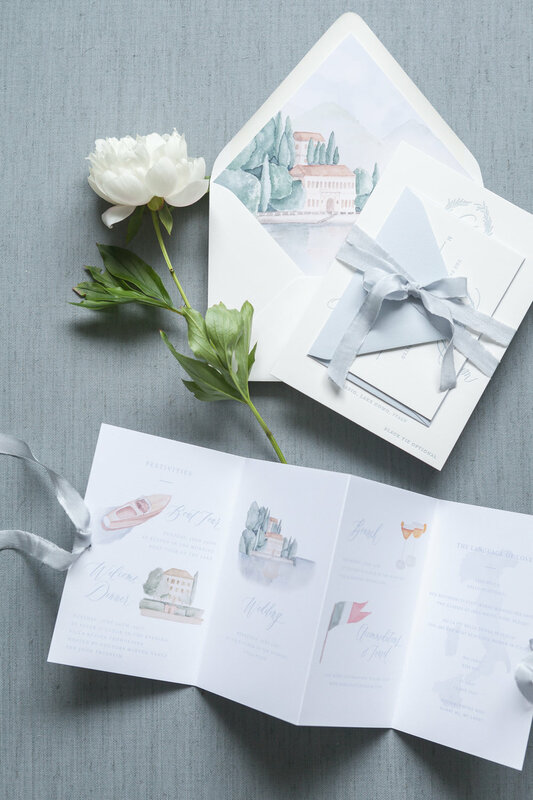 In this airy letterpress suite a watercolour envelope liner acts as a beautiful focal point. A delicate olive branch monogram adds a subtle Italian influence throughout the suite. 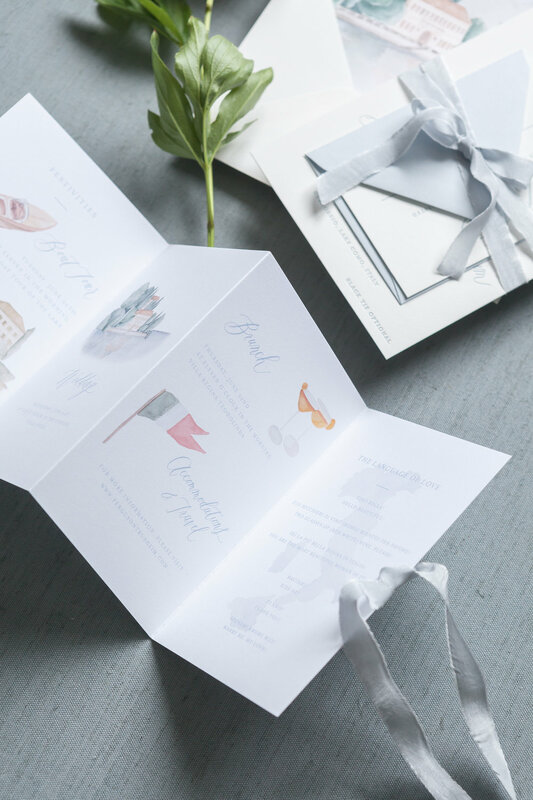 The accordion fold booklet incorporates more watercolour vignettes inspired by the venue and our favourite silk ribbons tie the whole look together.